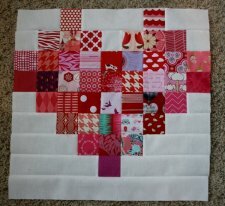 "While the measurements and process I used in my Scrappy Heart Quilt top are still fresh in my mind, I thought I’d write up a quick tutorial. 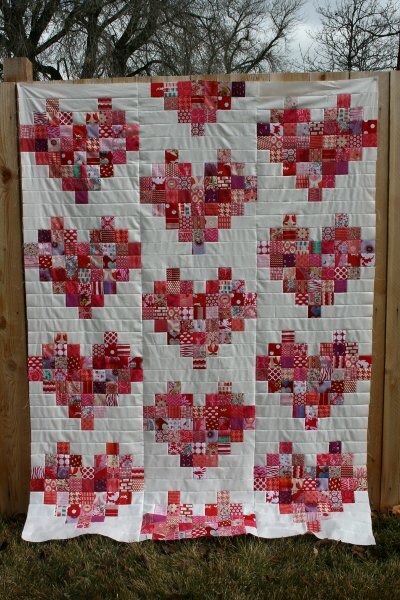 I know there are probably a lot of pixelated heart tutorials out there but since I haven’t researched that at any point in the creation of my own quilt, I hope I’ll be forgiven for any repeat of content that surely exists somewhere. 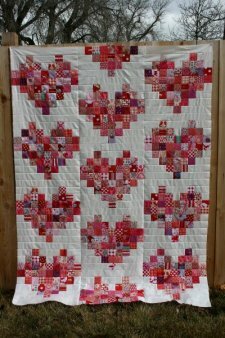 "That said, this quilt was enjoyable, simple, fast and fun to make. Should you choose to make one, I hope you’ll enjoy the process as much as I did."